Dead Zebra has released its annual Halloween themed limited edition Android mini figure for 2016, and it is inspired by the iconic Frankenstein’s monster! Joining previous Halloween releases comes Frank Patches. Have you tried turning him off and on again? Frank Patches is relatively new to Tech Support, but he's ready to tackle your monstrous IT problems. The Frank Patches Android 3” mini figure by Andrew Bell features real metal antenna bolts and comes with a mini patch cable. 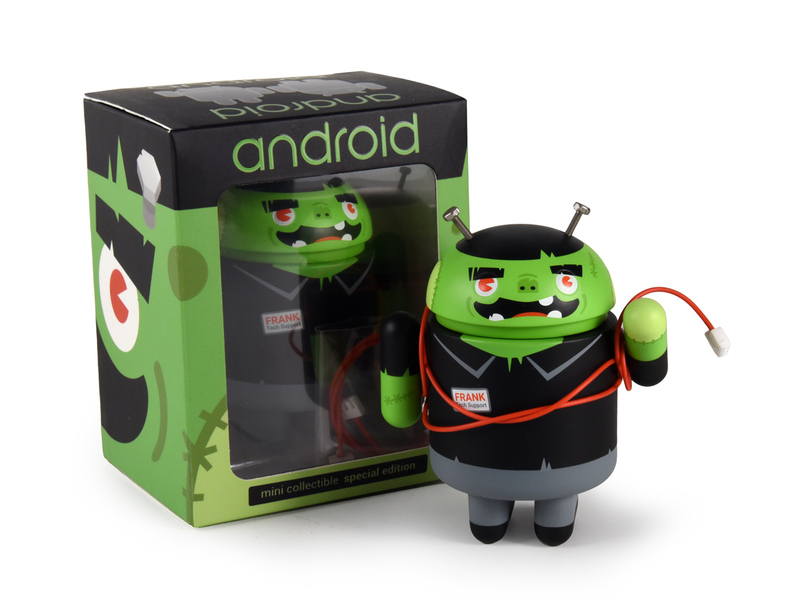 Collectors can purchase the 2016 Halloween Android at the Dead Zebra Shop for $10 each. Each figure comes packaged in a full color window box perfect for displaying.